This new product by Ellevill AS is capable of being easily stretched and resuming its former size or shape. This means that it encloses the body and provides optimal support and because of the wool it will breathe. A stretchy wrap is recommended for young babies. Some find it easier to use at first, specially for beginners, because of its elasticity and because you can tie the wrap on, before you put your child in it. This would also allow you to take the child in and out of the wrap without having to untie or adjust. 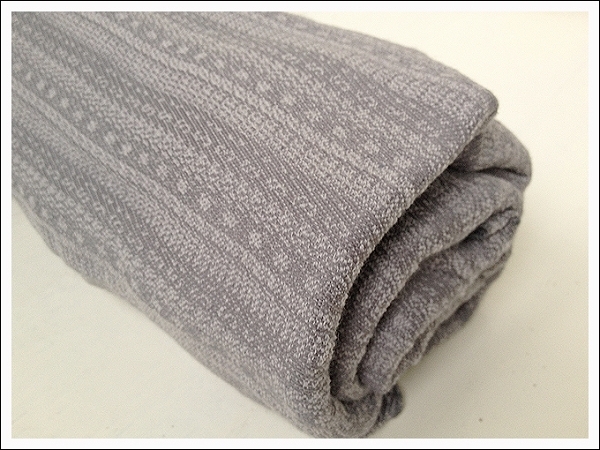 The 50% cotton/ 50% wool wrap feels very soft against baby skin. The ends are nicely rounded so that the knot is tiny and smooth. Available only in one size, 70 x 500 cm. It also includes a storage bag that makes it easy to pack your wrap with you. Machine wash at maximum 30 degrees.